Voting begins next week for AMS elections and every vote counts in the electoral system the AMS uses. 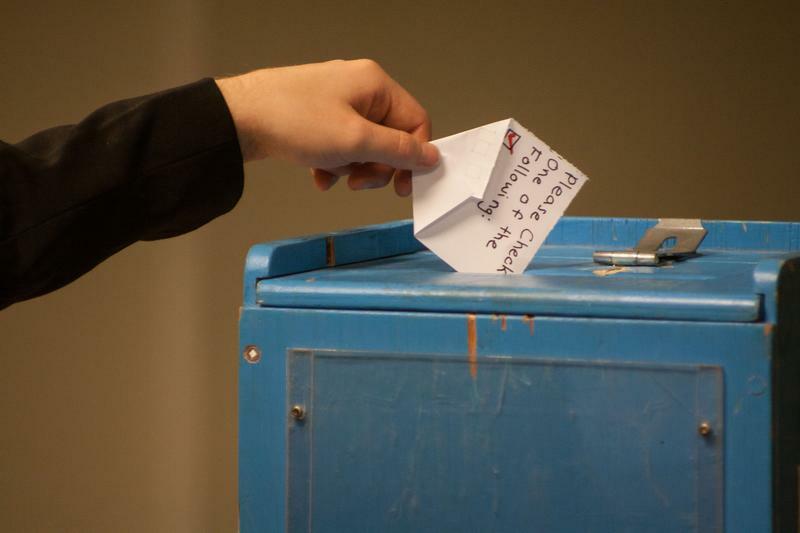 While the Senate and Board of Governors races use first past the post (FPTP) — meaning the winner can be determined by the candidate(s) who get just one more vote than the next-closest competitor — elections for the AMS president and vice-presidents use a ranked ballot system called the Condorcet method. Condorcet is not seen often in electoral systems. But the method is “arguably one of the more democratic and fairer systems,” according to AMS Elections Administrator Halla Bertrand. Dr. Richard Johnston — a UBC political science professor and Canada research chair in public opinion, elections, and representation — agrees. By using Condorcet, “we want to make sure that everybody gets a level playing field in comparison with every other candidate,” he said. Unlike FPTP where voters check one box for one candidate, Condorcet allows the voters to rank each candidate from first to last choice. Once all votes are cast, candidates are ranked against each other in a series of one-on-one matches. Ultimately, it’s not about who has the most votes but who has the most majorities. Let’s say there are three voters voting for three candidates: A, B and C. One voter prefers A, B, C. The second prefers A, C, B. The last prefers B, A, C. To determine the winner, every candidate is pitted against each other to see who is ranked higher more often — in this case, it would be A. The 2018 AMS elections saw a similar formation of votes for the presidential race. Current president Marium Hamid won two majorities against competitors Andy Lin and Rodney Little Mustache, meaning voters chose her as their preferred option the majority of the time. Because of this structure, Condorcet can quickly become complicated. “The bigger the ballot, the more complicated choices are, even when you know what you want to do,” Johnston said. For example, the 2016 AMS elections saw Ava Nasiri closely beating Jenna Omassi. While both candidates won all their one-on-one races, Nasiri was rated more preferably over Omassi by a mere 267 votes. More candidates can also mean more time spent ranking everyone, but Bertrand reassured that the AMS online voting system is able to tally results fairly quickly. “It’s obviously way faster than humans counting,” she said. Condorcet also does not see more strategic voting than electoral systems that more widely used, such as FPTP. According to Johnston, voters in FPTP strategically vote for the candidate who they think has a good chance of winning in fear of making a ‘throwaway vote.’ Condorcet’s ranked ballot system in some ways works to eliminate those worries. “The general argument is that if you have a preferential ballot, then that reduces the need for voters to do anything other than express their true preferences,” Johnston said. But the ranked ballots can create some barriers for voters, as the system puts more of an onus on voters to inform themselves on candidates’ platforms if they want to rank them all fairly. The additional ban on slates also makes deciding who to vote for more difficult for uninformed voters. According to Johnston, most voters tend to vote with name recognition or align themselves with the party who shares their values. Without slates, voters may have to do a bit more research into each individual’s platform. But Bertrand disagreed with the idea that confusion around Condorcet leads to voter apathy in AMS elections. “I think the instructions on the ballot are pretty clear,” she said. Voting for AMS elections runs from March 11 to 15.